Story time -- it's good for the brain! 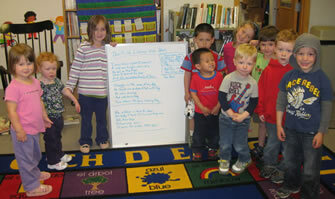 Story Time is offered Wednesdays from 10:00 until 10:30 a.m. Stories are chosen with 2 to 5 year olds in mind. Stay for one story or stay for more. Meet other moms, dads, and caretakers in the community. It’s a great opportunity to socialize for you and your child! There are occasionally dates where Story Time is not held. Check our CALENDAR to stay on top of things!